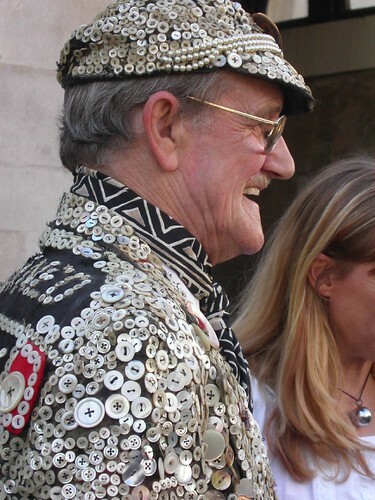 The tradition of Pearly Kings and Queens of London goes back to the 1800’s. I shot this guy posing with families by the horse guards near Trafalgar Square last year. More here about them. I love this tradition as much as I love buttons!